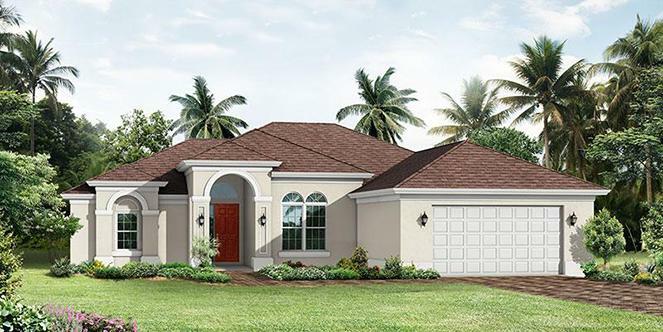 This Spec Home by GHO Homes is being offered at Eagle Trace Estates, a gated community. The Amberjack has 3 bedrooms and 3 baths and a 2 car garage. The countertops in the Kitchen are granite, and there are double ovens as well, along with Level #2 42". The Master Bedroom has been extended by 4 ft.
Lovely Mediterranean Style Home in Gated Eagle Trace Estates!